CORE40 is the fastest growing studio in San Francisco today with integration at its core. ‘Health is Wealth’ – you’ve probably heard this saying before. For most people, this is a factual truth. In our everyday lives, we do a lot of things that need physical and mental health. To accomplish this effectively, we need to be healthy. Staying fit is not easy. In fact, it’s one of the most challenging struggles people have to deal with. Core40, a fitness company, stood up to this challenge and now helps people get fit in fun ways. Core40 offers a huge variety of fitness exercises, together with their awesome trainers. They have even made it possible to get fit in the comfort of your house. Core40 is a fusion of many of the core-focused fundamentals of traditional Pilates, blended with circuit training, strength training, and cardio. 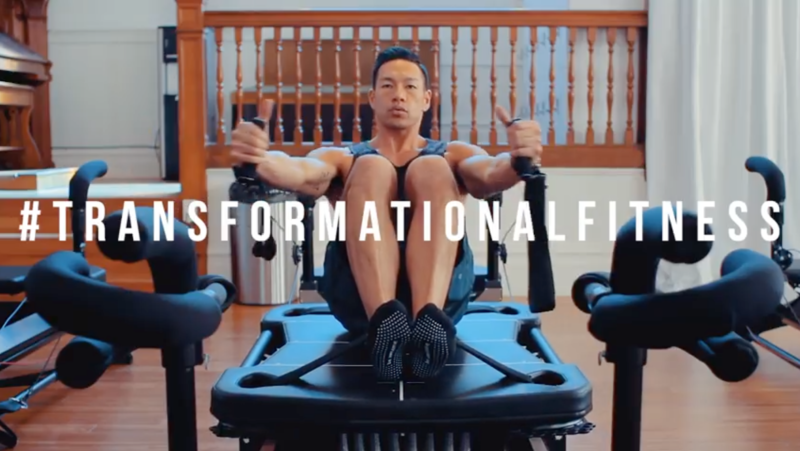 All this are performed on revolutionary, state-of-the-art equipment created by fitness guru Sebastien Lagree, also known as the "Superformers". CORE40® uses the renowned Lagree fitness method which is an unparalleled full-body workout. It strengthens, tightens and tones the entire body quickly and safely. This makes the body lean, lithe and resistant to the stresses of everyday life. CORE40® realized that due to an increase in clientele, they were taking too much time having to upload information in separate batches. There was also no real time automation in Infusionsoft. They needed SyncApps to integrate Infusionsoft and MINDBODY for efficiency. With the help of SyncApps from Cazoomi, they created a Sync Profile that was based on their customers’ needs. They can now easily upload data and automate their email campaigns. “The fact that I worked directly with the company to create a Sync Profile based on the company’s needs was priceless. The customized syncing with MINDBODY to Infusionsoft has saved us countless hours in data uploads. Now that it’s set up, our email marketing campaigns are nearly 100% automated. Now I can focus my time and energy on creating content and optimizing sales.” MADISON, Head of Team & Marketing at CORE40, Infusionsoft Certified Partner. Uploading data manually and in batches which took a lot of time without automation in Infusionsoft. They had a hard time tracking clients and reaching out to potential customers who needed their services. The Cazoomi team worked with the CORE40® team to create a Sync Profile. This led to the customized syncing of MINDBODY to Infusionsoft. As a result, they now save time in terms of uploads and the email marketing team is automated. The client can now focus their efforts on content creation and sales optimization. Syncing MINDBODY Online customer contacts to Infusionsoft for marketing initiatives. Custom Field Mapping between both systems to alert Infusionsoft of MINDBODY membership details. Assign Client Indexes to MINDBODY clients to sync to Infusionsoft. This allows for new campaigns to be enacted quickly in the studios. Trigger actions in Infusionsoft based on specific purchases in MINDBODY, like renewals and upsells. Kick off an Infusionsoft Campaign from MINDBODY shopping cart purchases like reminders of what is new and exciting from the Core40 Blog and team. Let Infusionsoft Action Sets take custom field changes from MINDBODY and create a Tag in Infusionsoft to kick off Core40 marketing campaign series. Segment MINDBODY Core40 clients by classes, events, appointments or purchased products. Use Tags created in Infusionsoft for each Purchased Product Name, Classes, Events/Workshops or Appointments for automated marketing to Core40 clients in Infusionsoft.